That Deloitte resonated so strongly with her, she puts down to the people. “Culture would be the best way to describe it,” she says. “I just connected, and I went home thinking about how amazing it would be to work there. I started going to all the Deloitte events, or anything to do with CA stuff, meeting everyone I could, and learning everything I could about the organization. And a year later I got the interview. I started with Deloitte the September after I graduated, in 2006.” Her recruitment experiences have become part of her working life now at Deloitte. 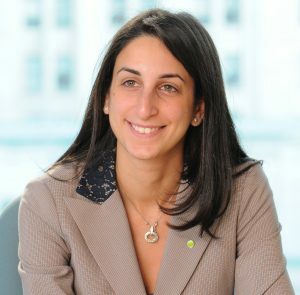 “I actually now lead recruiting for the Toronto audit group, and I am a champion for Rotman here at Deloitte, “says Ikram. As a proud Rotman Commerce and UofT grad, I feel it’s important to stay involved with the university. I had a great experience during my time at UofT – it seems only right to give back what I can through volunteering and sharing my experiences with students.